Book Review: They Novelized ANNA AND THE APOCALYPSE | Birth.Movies.Death. Anna and the Apocalypse is one of the most delightful movies of the year. A Scottish high-school musical set during both Christmas Eve and a zombie outbreak, it’s an unlikely mashup of genres that works exceptionally well, largely thanks to an abundance of energy and a total lack of cynicism. The survival story of young Anna Shepherd and her friends is one I’ve seen theatrically twice, at Fantastic Fest and Fantasia, and from which still hum the tunes from time to time. It hits US and UK cinemas on limited release tomorrow. 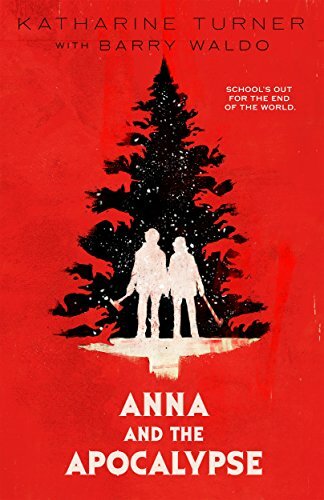 Accordingly, Anna and the Apocalypse is an odd choice of movie to turn into a novelisation. Not only does the very concept of novelisations seem strange in today’s instant-access world; the movie itself is a musical. Any novelisation would have to not just translate a visual medium to the page, but also find some way of turning songs into something readable, while doing all the things you need to do writing a book anyway. You know, writing stuff. Katharine Turner and Barry Waldo’s young-adult adaptation takes probably the smartest approach, then, in adapting the film’s songs: for reasons either legal or creative, it doesn’t. Where the film has characters start singing, the book goes into either internal monologue, action, or just dialogue. Sometimes an odd lyric or two sneak their way (occasionally awkwardly) into the text, but for the most part, you’d have no idea this story started its life as a musical. The only exceptions are the two songs that are performed diagetically in the film’s talent-show sequence, both of which have their lyrics reproduced in full. How does Anna fare as a book? It’s very much written for young-adult readers, for one thing, which given the film’s high-school setting is probably the correct choice. Some of the film’s emotional and action beats are handled a little clumsily in print, having been originally created for a visual medium; some jokes don't play as well on the page as on screen; and there appears to have been an attempt to Americanise some of the hyper-Scottish original text. But Turner and Waldo also have fun with the things a book can do that a film can’t. The titular apocalypse plays a larger role in the novelisation than in the film. Words are free, after all, and the authors expand the zombie outbreak’s scope a little bit. Hints at the carnage to come emerge early. A wider lens is applied to the events happening around the town of Little Haven, and more details emerge about the world’s response. Perhaps most important of all (? ), there are a greater number of scenes of bloodshed - and they’re more visceral, too. But more important than that is the extra character development the written word affords. Every character from the film gets given extra backstory and relationship details. We learn more about Anna, her mother’s death, her fling with bad-boy Nick, her yearning for adventure, and her relationship with her school maintenance-man/mascot dad. 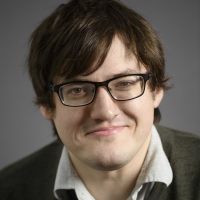 Anna’s best friend John gets an expansion of his friend-zoney nice guy personality; aspiring journalist Steph gets to do some actual reporting; and lovebirds Chris and Lisa are characterised with nauseating youthful sentimentality (and a teensy bit of youthful sexuality). Turner and Waldo appear to have had the most fun, however, with the film’s best character: sadistic vice-principal Arthur Savage, memorably played by Paul Kaye in the film. It’s Savage who receives the longest and most delicious internal monologues, expounding on his hatred for his students and his plans to make their lives a misery. He’s almost set up as the school’s Scrooge, with Anna’s dad as his Bob Cratchit. The authors explore Savage’s worldview with as much disturbing glee as Kaye did in the movie, and that’s saying something. Curiously, though Anna and the Apocalypse is a little bit creaky as an adaptation, it actually works pretty well as a young-adult novel. In that context, you can see it becoming a series - Anna and the Wasteland, Anna and the Elder Gods, Anna and the Endtimes. She’s a compelling enough heroine to carry a series, and given the ending of the film (and book), there’s no reason a sequel couldn’t exist. Though a screen sequel isn’t the likeliest of outcomes, given the independent nature of the film, who’s to say the story can’t continue on in print? Recommended to anyone wanting more detail on the film’s characters - or anyone not old enough to go see the R-rated film itself. Whet your appetite, kids, and get a wonderful surprise when you discover this apocalypse is all-singing and all-dancing as well as all-biting. Your new favourite Christmas high school zombie musical unleashes its first song.